I feel the same way. In some respects I am so proud of this city, but I will never be proud of the fact that we let old buildings with great architecture end up like this, especially when what will replace it is something that is only a slight upgrade over a Soviet apartment tower. We lack a champion with enough passion to organize people for a grassroots movement. This forum has some of the most passionate people about urban development in the city, yet none of us (myself included) tried to organize anything other than talking about it online [which a developer could care less about]. Unfortunately until somebody comes forward to organize a grassroots movement (like NYC had with Amazon), developers will do as they please in Charlotte without public backlash. I wrote an article that got 20,000 views about Polk and trying to save it. That said, it's a little hard to save something from 600 miles away. There actually was someone trying to buy it for a veterans museum and rehabilitation center. There could have been some amazing lofts in there that would have paid for a sizeable portion of the reno. Yep and I'm writing a Eulogy for it now. fresh off my trip to San Antonio I will be glad to speak at the funeral in this great historical loss for Charlotte. When was this building last used, and what for? Looks like some relatively modern lighting fixtures and partitions inside. Today’s progress pics. Can taste and smell the dust in every direction. Irritates the throat too. Ex actly. Some bricks fall off the façade due to lack of proper maintenance and they act like they entire thing is just at risk, when we all know that the concrete structure is far more solid than what they are about to put up. I'm still stuck on, why the hell not tear down most of it. keep the last bit as their halo. Or hell, it was here for almost a century, maybe wait till the economics is there to build a 19 story building to stack the 13 and 6? Economics like... 3 years ago when the same company built a taller one by the freeway at South Blvd? Next comes the info that they're delaying the build of the new one and selling the block now that they've added their 'value'? I'd almost prefer that this does happen and hope that whomever buys the land does something more appealing than what is currently planned. This should have been torn down since it is not opened after 4 years! new project: can someone mock up fake historic plaques designating the "historic first ward ruins of this group home for fossil-fuel burning transportation units, built and abandoned in the first quarter of the 21st century, CE"
Yes, @UrbanCharlotte, it is true and not just a rumor. But in fairness, the Centercity Inn also got torn down. 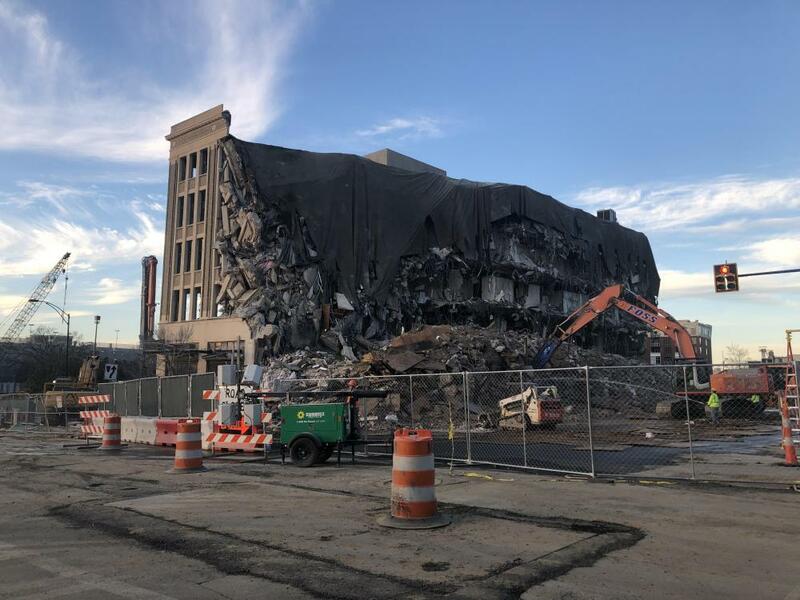 I find it overwhelming to realize that we here on UP have been discussing the fate of the Polk building for 15% of the building's lifespan, and all our implicit and explicit hopes for the building are now dashed. 2005 was a simpler time. 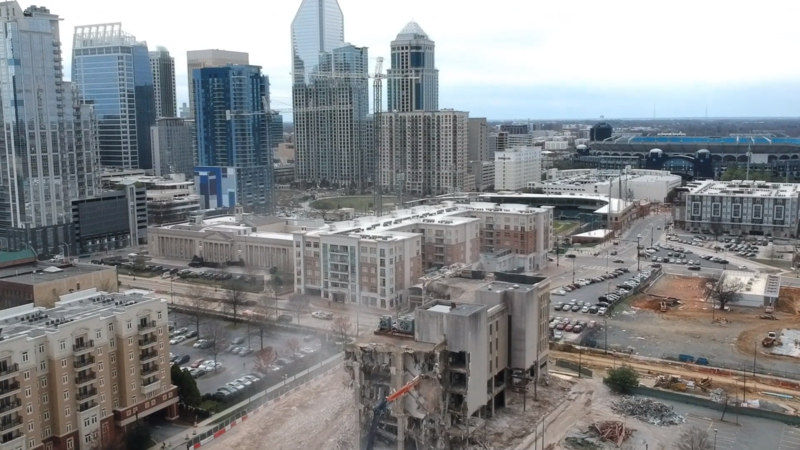 "Uptown's Polk Building demolished to make way for apartment tower with rooftop pool," by Clayton Sealey, Charlotte Agenda, March 13, 2019. 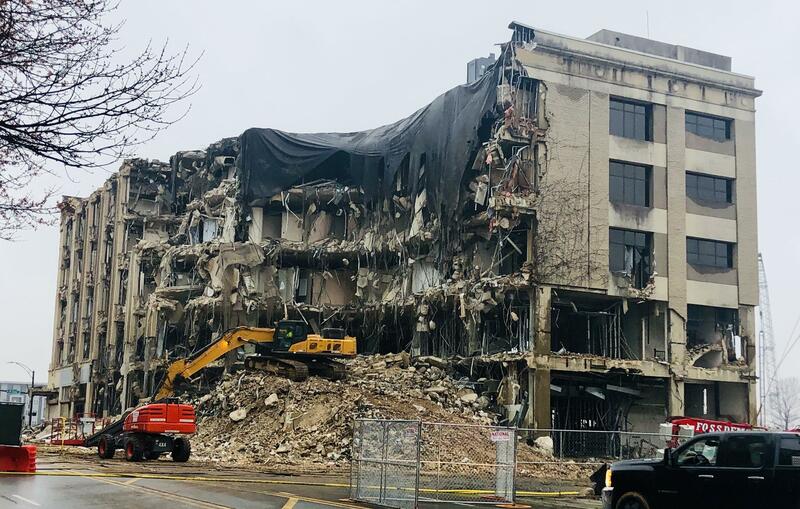 "RIP James K Polk Building (1925 – 2019). 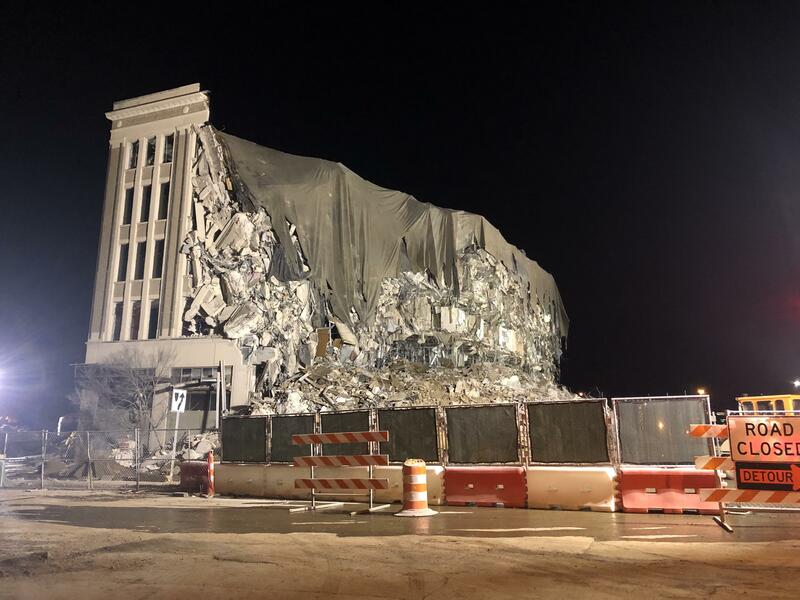 This 94-year-old building designed in the neoclassical revival style by renowned industrial architect Albert Kahn, is being demolished right now to make way for a 15-story apartment tower with a rooftop pool," "What’s taking its place: Taking its place will be a 15-story apartment tower development with amenities like a private rooftop bar, resort-style indoor spa and sauna, fitness mezzanine overlooking the city, indoor pet play space and rooftop pool. Expect a total of 354 studio, one, two and three bedroom apartments. The new Uptown building will also have 8,400 square feet of street level retail and restaurant space." Willie's great version of the song from the Brokeback Mountain movie soundtrack. yea. I'm going to send a OpEd Eulogy out for the observer. This is not the tone I wished to convey. Ahhh 2005. What great memories. We were all younger and still full of hope. It's a shame this building is coming down with all the vacant surface lots within 277.